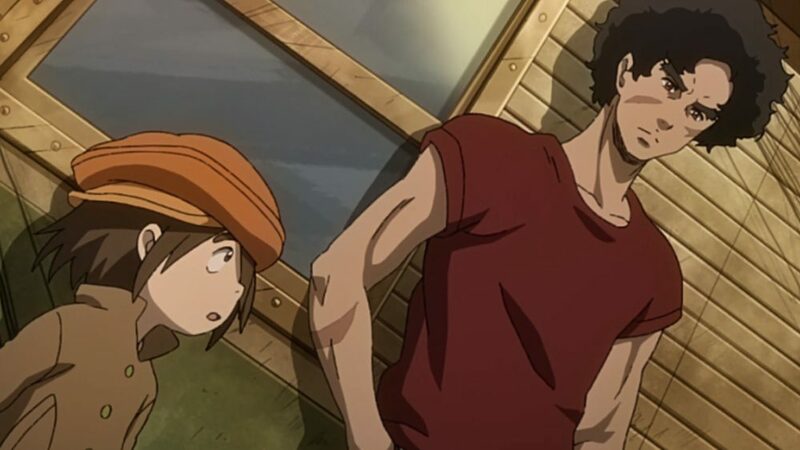 I was so hyped for Megalo Box episode 8 to come out that I could not sleep last night. Episode 7 was awesome, it surprised me a lot. The ending was superb, I gotta say that I did not expect it. And it made me shocked. I do not know what will happen anymore. Usually, on episodes, you get some predictions of what might happen, but this time I ain’t really sure what kind of a stunt they will pull. I mean, it’s certain that the story must go on. Somehow, and something will have to help them. And this turnaround is what I’m really excited about. 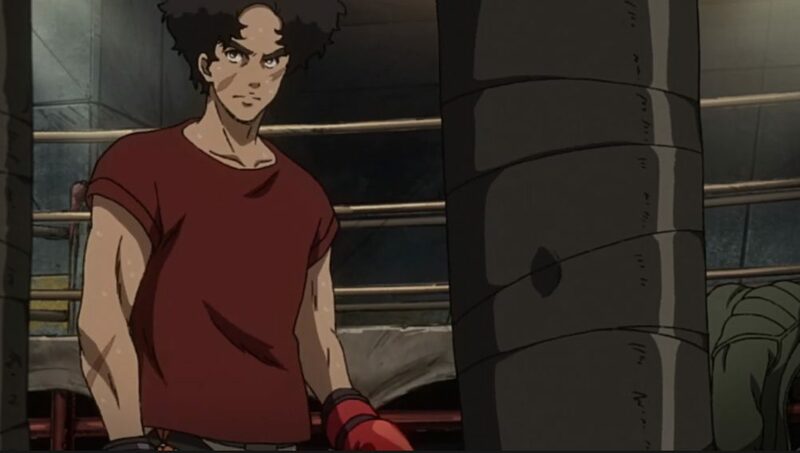 Megalo Box is definitely my top pick from this season. Alright, so I have only started two minutes into the episode right now. And at the beginning, we can see Joe punching his bag while a news report goes on in the background. Apparently, there will be a Megalonia Dorm commemoration ceremony tomorrow at night. I have a feeling that some twist is bound to happen here. There is a possibility of Joe fighting a last minute fight. But I don’t really think that will happen, I think that Shirato Yukiko will have something to do with this. Her fight with her brother over the ownership is driving her into a bit of a corner. She might want to use Joe somehow to get back to him. If this happens, for some reason Mikio won’t be entering Megalonia, instead of him, Joe would be entering the ring. Although, for this to happen Joe would have to somehow get a reason for his entry. Now I can’t really think up of a good reason for this. One way it could happen is if Yukiko convinced the board that picks fighters. However, I can’t think up of anyways she would do it. Would it be true pure power, or would she somehow convince them that Mikio is a bad choice? If we think about it, Mikio claimed that Yukiko manipulated their grandfather into giving her the company. And if that’s true, she might somehow manipulate the situation into her favor. If all this plays off somehow, then the definite outcome would be how Yukiko destroyed herself. Think about it in a logical order. If Mikio went into Megalonia and lost from Yuri, she would remain her position. She would still be the owner and Mikio would lose. However, choosing to defeat him would dig her own grave. The whole story revolves around Yuri fighting Joe. 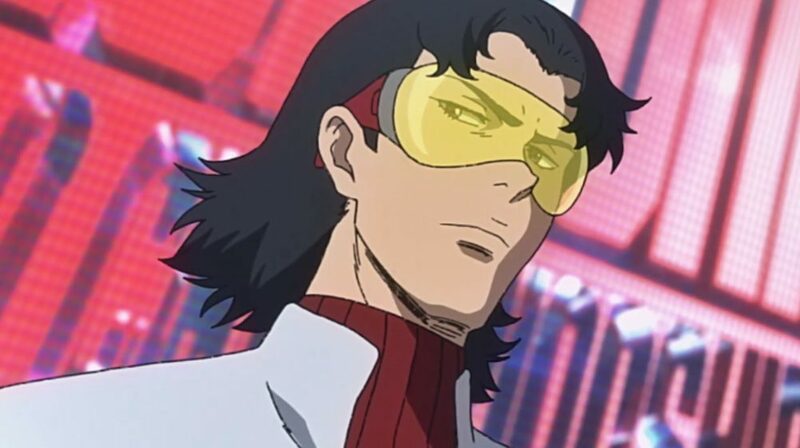 So we could predict that Joe will get into Megalo Box. If we go under the assumption that it was done by Yukiko. Then she would cause her own loss. Unless Megalo Box surprises us, and Joe loses the final fight. We can safely assume that this anime might end up ironically for Yukiko. At the beginning of the episode, we see Nanbu and Sachio talking to Fujimaki. Fujimaki set them up with a fake ID and gave them a chance to enter Megalonia. It was all to repay their debt to him, well mostly Nanbus debt. Not much is known of his background, but I would assume he is some gangster or mafia guy. I don’t think he’s the one that collects the debts, because he seems to be the boss and call the shots. Anyway, when he asks Nanbu if the gamble is still on. Nanbu says it is, and that they are not giving it up. Now, this might mean there will be some totally different outcome than the one I thought about. If this happens, then I will be really happy. Being predictable would ruin my experience of this anime. Although it’s still fun to theorize about what could happen. I do it all the time, especially with One Piece. Nanbu, Joe, and Sachio fight for a bit. And of course, this looks like the team will break. Joe is attacking Nanbu for not letting him go in the ring. However, this is where Nanbus witts is shown. According to Nanbu, if Joe went into the ring he would have been hot-headed. This would result in Joe trying to beat Mikio with a hot mind. He would lose his cool and rush things. This is not all, Nanbu understood that Mikio could crush Joe if he wanted to. He would have simply had to go public with the information before his match. However, this was Mikio’s wrong move. He did not go public, and he tried to scare them off secretly. Nanbu realized that this means there is a reason for him not to want Joe in Megalonia. This reason is their new hope. But then again, this could now lead them to meet up with Yukiko somehow. And get Joe into Megalonia. Nanbu went off to Fujimaki again to ask for help, and I think that he will help them. To me, he looks excited to see Joe pull a stunt like entering Megalonia. If we recall back, we can remember Fujimaki saying that getting into Megalonio would be enough for him. He did not even ask for the prize money or the return of their debt. Nanbus plan is to use Mikios reason to get him back into the ring. And then actually have a match with Joe, now this is starting to feel a lot better than Yukiko manipulating the board. Although, we can safely assume that she will be somehow involved in all of this. A few weeks ago, someone went underground to investigate Joe. According to Fujimaki, they were sniffing around for his past. And wanted to look into his ID. However, Fujimaki also noted that they are not amateurs. Even if someone knew that the ID was tampered with, they could not provide the evidence. In other words, Mikio paid someone to collect info. However, they did not get any evidence, it was just some stories from folks in the underground. Although Joe and Nanbu rose in popularity in Megalonia. People from the slums started hating them, how could someone like them succeed when they didn’t? What gives them the right? Thoughts like these were shaking the heads of a lowly bunch. When they saw an opportunity to earn some cash. They did not even hesitate for a second to spill some half-true stories about Joe. At the end of the day, Nanbu fell into Mikios bluff. He was scammed, now I regret saying that he is witty. Fujimaki helps them get a lead, they get a guy that used to work as an engineer at Shirato group. After having him tell them about what is going on, we see the board choosing Mikio as the final one. Yukiko did not seem to happy at that point. It would seem that my guess was wrong, Team Nowhere is doing this on their own. They have the press in front of a stand, and it would seem that they are going to go live. The Shirato group was working on new models of mounted gears. They were trying to create a next-gen gear that will improve Megalo Box and redefine it. As we already know, one of them was Yuri’s integrated gear. It is very complex and has no time lag. It’s like a part of his body. You could actually say that this is already a part of cybernetics. At the start, there were two models of next-gen gear competing. The gear that Mikio has is AI-integrated gear, it also has no time lag. However, the AI does all of the work and it’s not even fun for the person wearing. In my opinion, I would have also chosen the integrated gear. Because it gives freedom to the athlete, and without that, the sport would be boring. It would mean that only people who have a lot of money could enter. Even though it’s already pretty hard to get good gear. Original boxing is definitely still my favorite one. It could also be the reason why Joe’s “Gearless” name is so popular. Anyway, the AI gear progression was going well. Until, it was canceled at the last moment, and the integrated gear was chosen. This battle between developing gears evolved into a power struggle within the company. 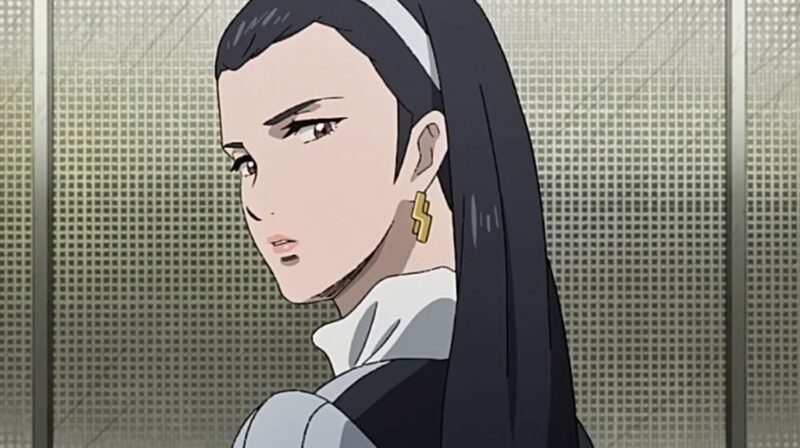 One side was led by Yukiko Shirato, while the other was in hands of Mikio. They could have both inherited the company, and this would prove who would be the next owner. Clearly, Mikio has a grudge against Yukiko for getting the position. There was another reason why Mikio did not want to face Joe. It was not only to go against his sister. Let’s see how Mikio’s gear works. Mikio’s gear works on the premises of predicting the opponent’s movements using sensors. It then decides on its own what the best counter-measure would be. However, the sensors work in a way in which they detect the movements of the opponent’s gear. Now we also know the reason why Yukiko wanted to pair up Joe with Mikio. She knew that the gear would be unable to detect the movements of Joe. Because he was not wearing any gear. If we are to look only at Megalo Boxing, then Mikios gear is flawless. Now that I think about it, he actually had a chance against Yuri. But Joe is his worst enemy. Mikio will have to use his own boxing to defeat Joe. Which gives Joe a great advantage over him. The only thing that is worrying me now, is how they will use this knowledge. It’s good that they know it, but in what way will they draw out Mikio into the fight. He can always reject it. To be honest, this was a nice turn around of events. Also, episode 7 really build up to this moment very well. 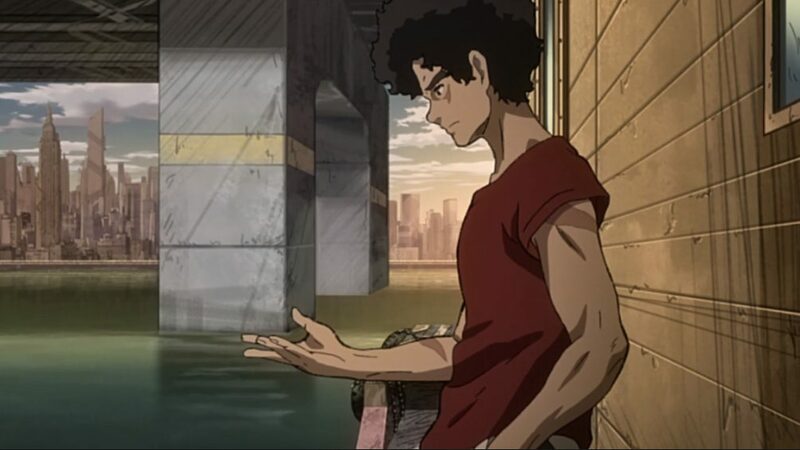 For now, Megalo Box episode 8 and 7 are my favorites. The enemy of an enemy is a friend, right? When Fujimaki asked Nanbu how he will draw Mikio out, he replied with this quote. 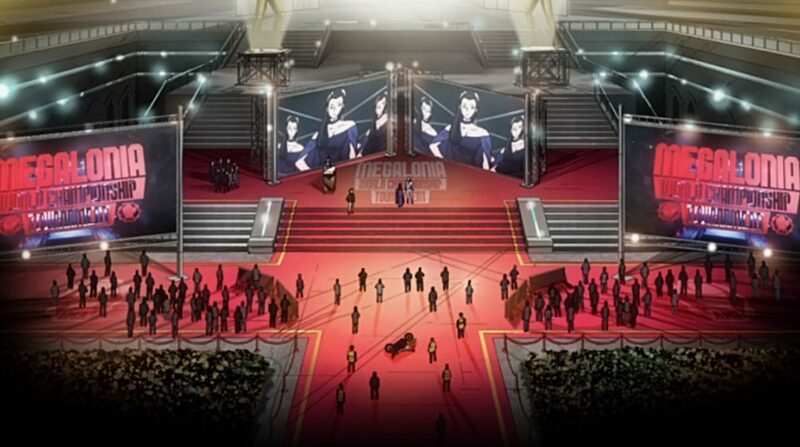 Now I thought that they won’t use Yukiko. But it seems I was wrong about being wrong. But then again, my predictions were twisted around. So I still liked it, even though it ended up being similar to what I said. Nanbu went to Yukiko to make an appeal for a rematch. However, she neglected it at first. And was actually curious about why they dropped the match in the first place. It seems Nanbu has not explained everything at this point yet. Although he eventually did explain everything. Yukiko did not actually agree with Nanbu. Now, this episode has been confusing me for a while now. It might turn out if I was completely wrong and clueless as to what will happen. Right after Yukiko turns down Nanbu. We can see Joe and Sachio talking on their boat. Joe said how he believes Mikio was not afraid of him. According to Joe, he was not worth fighting Mikio. At least, in Mikios opinion. With everything on the tables, Nanbu went in and threatened Yukiko about exposing Mikio. His idea is to show everyone how Mikio fixed a match to win. This would disgrace Shirato group a lot, and Megalonia reputation would fall into the water. However, even then, Yukiko did not waver. She closed up Nanbu in a room. And went on to proceed with the ceremony.